You walk into your local electronics store with the objective of buying a new camera. If you’re like me, then there’s a good chance that you’ve already done your fair share of “pre-shopping” online. You’ve looked at the different models, you’ve watched some videos on YouTube and you’ve read some expert reviews. You’ve also done some comparison shopping to make sure that you are getting the best price. If you’re this kind of customer, you’ll head straight to the camera section, find your desired camera model, pick it up and head straight to the cashier. You don’t really need anything in terms of customer service, assuming that the camera is right there on the shelf for you to grab. If you do all of this kind of research and planning, then you probably already know about the accessories you might want too, like memory cards and camera bags. Now, let’s look at exactly the same scenario, but for an entirely different kind of customer. Here is someone who is also looking for a new camera, but he’s not very technologically inclined and he really isn’t sure what kind of camera he wants. This customer will also head to the camera section, but he’d likely appreciate some assistance. The store associate, assuming he knows his stuff, can be helpful in this situation. Do you want a compact camera, an interchangeable lens camera, or a DSLR? Do you need it to be weather-resistant? What is your budget? How are you going to use it? Do you already have a favorite brand or is there a specific feature that you want? Whereas this second customer may find this added guidance useful, the first customer could become incredibly annoyed by the line of questioning. I know that Ed Lau would agree, because he is the kind of customer who would rather be left alone. If he needs help, he’ll ask for it. If the second customer were simply “left alone,” he may become frustrated that no store employees came over to help him. 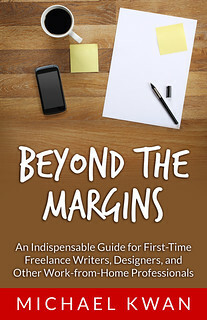 A few years ago, I wrote a blog post about how to best manage freelance client preferences and why you shouldn’t rely on your memory about this kind of thing. With freelance writing, for example, I have some clients who want me to “pitch” them on possible topics well ahead of time, whereas I have others who simply give me free rein over the articles that I write. If I started writing articles without getting approval from the first client, I could run into quite a bit of trouble. Likewise, if I “pestered” the second client with topic approvals for every article that I wrote, I could just as easily run into trouble too. Some clients prefer a higher frequency of communication, whereas others prefer to focus their own energies on their own tasks and simply delegate the other work to other people. And neither arrangement is inherently better or worse than the other. There are all sorts of different client types out there and it is important that freelancers (and all business owners, for that matter) adapt to the preferences and personalities of these different clients. Some may prefer a more formal relationship where every message exchanged has a “Dear Mr. Kwan” as the salutation, whereas others take a far more casual approach. You can guess where John Chow (pictured at the top with this viking hat) falls on that spectrum. Good customer service comes in a variety of forms. Some gurus will tell you that you should err on the side of over-communicating and that may be true, but the most important thing to know is that you can’t approach every customer using the exact same formula and hope to achieve exactly the same level of success. You really do have to treat them as individuals first. Adapt and adjust. Don’t be a pushover, to be sure, but prepare to be flexible as needed. PreviousWhat’s the Difference Between Whisky and Whiskey? Being in customer service both with tech support and with retail at Lowes, I can tell you that treating everyone as an individual has to have initial communication. Once you know what the client or cusoter needs in the way of attention you can then choose how to interact in the future. An example is the one you used with the two camera customers and Ed. I would approach each one of the same, saying hello and asking how they are today, while seeing if I can answer any questions. If I get a response I continue with a line of questions to advance the conversation to asses the customers needs and level of knowledge. If, on the other hand I get an Ed I will tell them that I am nearby if they need anything else. At that point I move away, but stay in the general area where I am at easy access for them, but not hovering around them. It’s the initial interaction that determines how I continue the relationship.